You have full control over the RSS Feeds and Podcasts used to load content into the News tab. 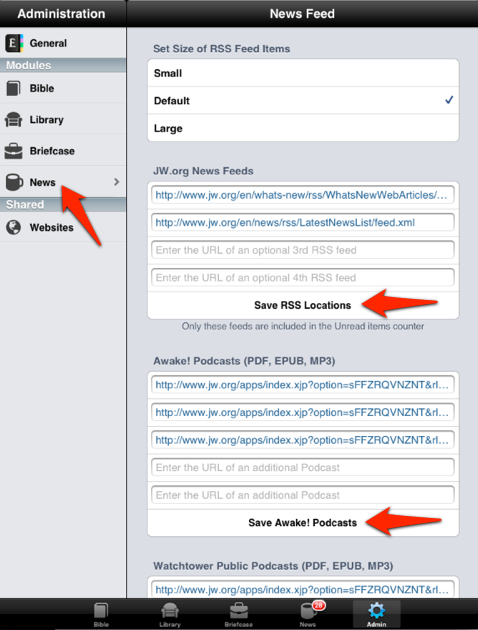 Note: Equipd will only let you load RSS Feeds or Podcasts from www.jw.org. By default the News module aggregates news items from two separate RSS feeds and combines them into a single news feed sorted by date. 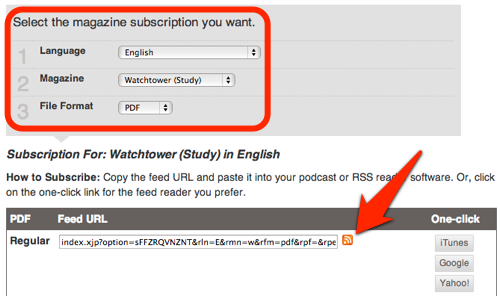 You can change the RSS Feeds you subscribe to in Admin > News. You can changes these RSS Feeds to load news in other languages as well. Equipd will support up to four (4) RSS Feeds - all get aggregated into a single list of News items sorted by date. Click on the Podcasts link and choose the Language, Magazine, and format you want to use. Then next to the box with the "Feed URL" get the link from the icon. On a desktop just click this icon to see the URL open in a new window. On an iPad / iPhone just click + hold on this icon - and then "Copy" the link. 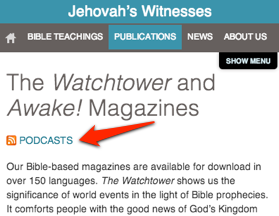 This is the full URL of the Podcast, and should include the "http://www.jw.org" address at the start of the link. After you have pressed "Save" you can go back to the News Tab and pull down to refresh the list, or from the action button top / right select "Check for New Items". Please note that there is a known issue with customising the RSS feeds where any changes in Admin are not being restored when you close and re-open Equipd which will be fixed in the next update.